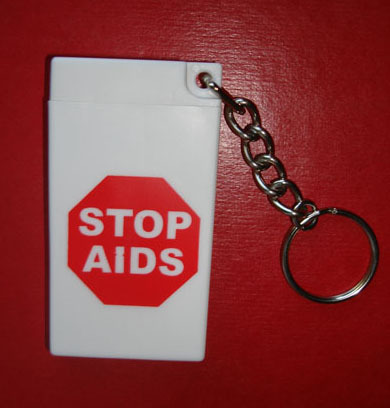 *BAG OF CONDOM KEY CHAINS – An assortment of 24 refillable condom key-chains per bag. Or choose the design of your choice. 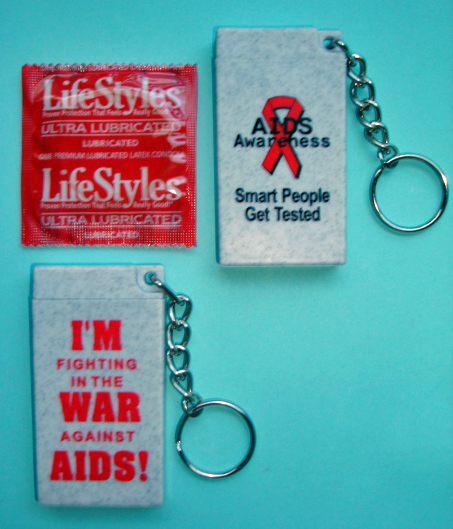 Each key chain comes with one condom & instructions. Price includes a 15% discount, only $36.50 per bag. email us at info@lifejackets.com for more details. 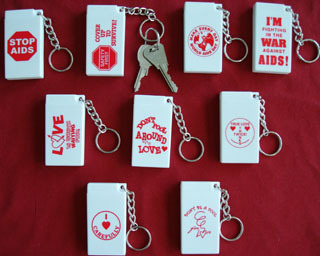 Flat white refillable key-chain, comes with condom & instructions. Only $1.50 each. See info page for sale packs. 3" Round metal button with safety pin. 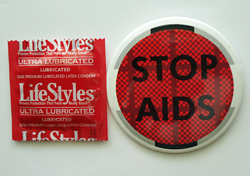 Comes with or without a condom. See info page for sale packs.